This show presents cutting edge information on holistic health topics related to eye health, vision improvement, aromatherapy, subtle energy healing, somatic movement, dolphin-assisted therapy, the autism-a.d.d spectrum, nutrition, and spirituality. Call in to receive guidance on how to improve your wellness and listen to stimulating interviews with leaders in the holistic health field. Dynamic, engaging, and funny, this is the show you have been looking for! Dr. Sam’s significant teachings are: you don’t have to live out your doctor’s diagnosis. And your body has the ability to heal! 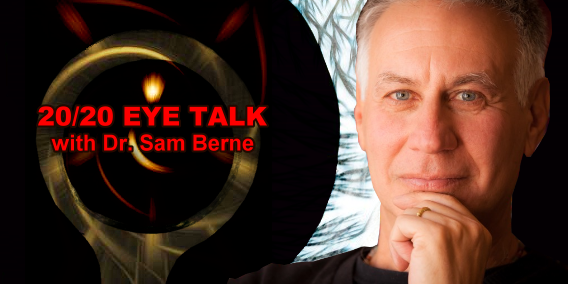 Dr. Sam has been a leading expert in the areas of behavioral optometry and holistic health for over 30 years. He healed his own nearsightedness in his late 20’s and is a catalyst for his patients to improve their vision and wellness. 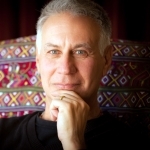 He is a faculty member at The Esalen Institute and teaches workshops all over the world using his innovative eye therapy for transformational healing. He has written 4 best selling books and facilitates people to become their true selves.